I’m in New York City a couple days for a work-related seminar. I got in Sunday afternoon and, because it’s my first trip to the city, headed straight for Times Square after checking into the hotel. What a trip that place is. Street venders everywhere vying for your attention. All the trinkets and t-shirts and stuff you could ever want. The lights. The sounds. The … smells. One of my first conversations with a person here was this guy. This is James. He’s just standing in the middle of Times Square. 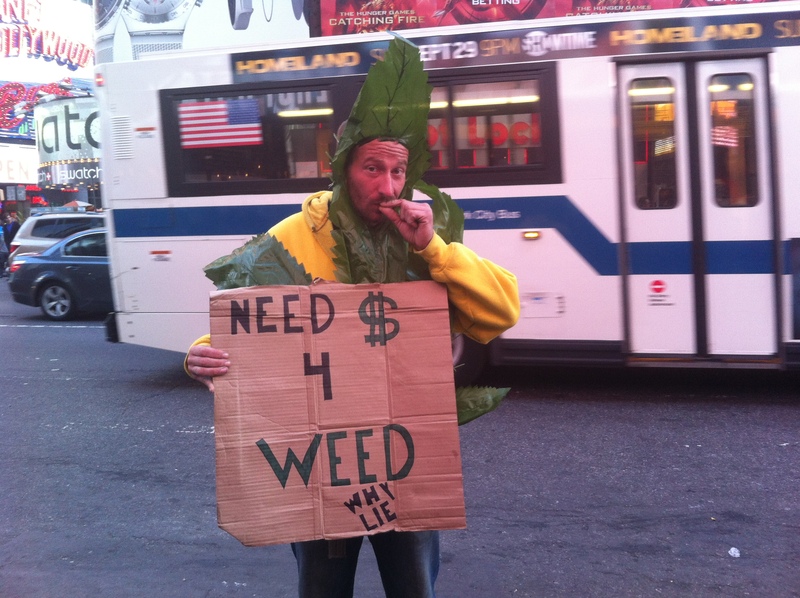 Asking for money to buy weed. And it sounds like people actually give it to him. To be clear, this is absolutely ridiculous. But his smile in this video cracks me up every time I watch it.